A consortium involving the construction company Acconia and waste firm Indaver has been named as the preferred bidder for a contract to build and operate an energy from waste plant in Aberdeen. 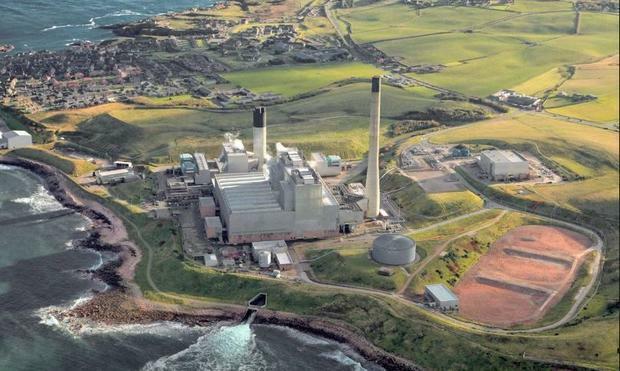 The ‘Ness Energy Project Residual Waste Treatment’ contract is being procured by a partnership of three north east Scottish local authorities: Aberdeen city, Aberdeenshire and Moray councils. 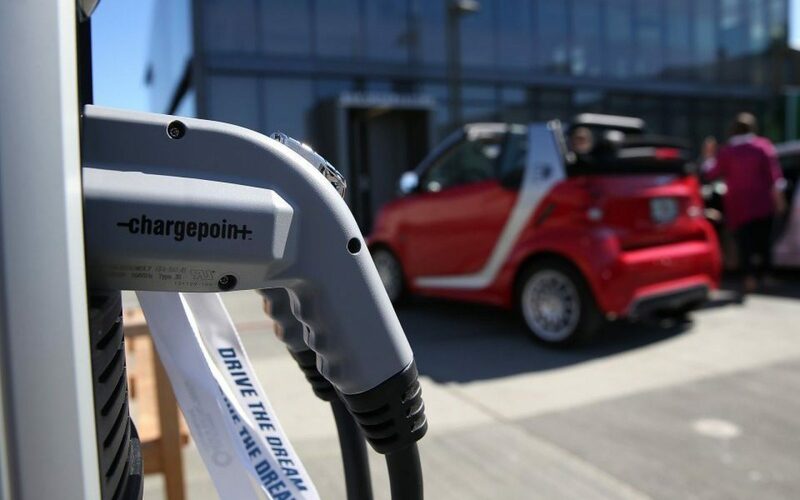 Consortia comprising FCC and the energy from waste specialist HZI, MVV and Baumgarte, and a Suez partnership with the industrial engineering group CNIM had also been involved in the procurement. The contract will see the development of a £150 million energy from waste plant in the East Tullos area of Aberdeen, which is due to come online by 2022. Linked to a heat network, the facility will use moving grate technology and have the capacity to process a total of 150,000 tonnes of waste per year. Spanish-owned construction firm Acconia has also recently been awarded a contract to develop a 400,000 tonnes-per-year capacity energy from waste plant in Perth, Australia. The Ness Energy contract would represent an additional gain for the pan-European business Indaver in the UK market, which has recently expanded its presence in the UK through an agreement to work on the Rivenhall energy from waste project in Essex (see letsrecycle.com story). Indaver is currently involved in a project to develop a £250 million waste incinerator in Co Antrim, Northern Ireland, on behalf of Arc21 and has planning permission for an incinerator in Cork, Ireland at Ringaskiddy, as well as operating plants in the Netherlands and Belgium. Acciona will act as the lead contractor as part of the Ness Energy deal and will form a ‘Special Purpose Vehicle’ to deliver the construction of the facility within the three year works period. Acciona will then subcontract the operation and maintenance of the facility to Indaver, for a 20-year services period. A final decision on whether to proceed with the project will be taken individually by the three Scottish councils in early March. Each council will be asked to approve the recommendation to award and the inter-authority agreement which defines how the councils will work together. The contract is then expected to be signed shortly after. The councils are seeking to secure a long term outlet for residual waste ahead of a ban on sending biodegradable waste to landfill in Scotland from January 2021. Project director, Linda Ovens, said: “Reaching this point in the procurement is testament to the effort and hard work afforded by the project team and the bidders involved. I’m delighted that we have identified a high quality, affordable solution for the councils and look forward to finalising the details with Acciona over the coming months. Ramón Jiménez, from Acciona, said: “This project is an important milestone for Aberdeen, Aberdeenshire, and Moray councils, as it will provide a more efficient and clean waste management system in line with European emission standards. (Bloomberg) -- The U.K. will leave the European Union on March 29 and so far there’s no agreement to replace the rules and regulations that govern vital trade between Britain and the rest of the world. If a no-deal happens, here’s what it could mean for the country’s energy industry. Almost certainly not. The amount of power the U.K. imports from continental Europe fluctuates but was 6.6 percent of total supply in the third quarter of 2018, according to government data. After Brexit, British electricity systems will be decoupled from the European Internal Energy Market. That doesn’t mean gas and power will stop flowing, according to Joseph Dutton, a policy adviser at climate change think tank E3G, but trading could become less efficient and longer-term supply less certain, increasing costs for consumers. This would be especially true in times of unplanned supply interruptions or extreme weather. There are four high voltage direct current (HVDC) interconnectors linking the U.K. electricity system to mainland Europe. The EU doesn’t currently charge import duties on electricity and has a small tariff of around 0.7 percent on natural gas, which it doesn’t apply in practice. If the U.K. exits the EU without a deal it would default to World Trade Organization rules for energy imports and exports. According to the majority of experts Bloomberg spoke with, tariffs aren’t expected to be placed on energy imports. Brexit will happen after the end of peak winter demand, which will help mitigate any short-term risk of imported power flows being interrupted, and any potential issues would be resolved quickly, according to consultant Wood Mackenzie Ltd. A fall in sterling could increase the cost of energy imports, it said. “We’re assuming the cost of electricity will rise, but we don’t know by how much or when,” Confederation of British Industry senior energy policy adviser Tanisha Beebee said in an interview. The situation on the island of Ireland is more complicated because Northern Ireland and the Republic of Ireland are part of a Single Electricity Market. A no-deal Brexit would potentially leave this “without any legal basis,” and “with a high risk that it would not be able to continue,” according to E3G. The sudden separation of Northern Ireland’s electricity market from the south would be an incident without precedent. The SEM is so complex that it’s hard to see how anyone could impose customs rules over it, said Munir Hassan, partner at law firm CMS. Still, Hassan was confident that the political will exists to ensure power continues to flow even if there’s no deal. “I’m a big believer that sense will prevail,” he said. To ensure that any interruption to the flow of goods through U.K. ports doesn’t prevent vital maintenance work, some companies have already begun stockpiling equipment, Beebee told reporters at a briefing in London. That includes wind turbine blades and spare parts for power plants, she said. Will North Sea Oil Suffer? Some North Sea oil and gas operators have also begun looking into stockpiling vital equipment, according to Alan McCrae, head of U.K. tax for energy, utilities and mining for PricewaterhouseCoopers LLC. Oil & Gas U.K., the offshore energy industry trade association, cites the example of importing equipment from Bulgaria before it joined the EU. It took four days to transport goods from the country into Aberdeen, where they could be delayed at the border for up to a week. Reverting to WTO rules could increase costs in the sector by 500 million pounds ($651 million) a year, the trade association said. If essential equipment is delayed, temporarily halting oil and gas production, the effect on energy prices can be significant. In 2017, a small crack in the Forties oil pipeline system, a critical conduit in the North Sea, pushed crude prices to their highest level in more than two years as the operator needed weeks to fix the problem. Operators are also concerned that in the event of a no-deal Brexit, any immigration restrictions could severely affect projects in the long-term if highly skilled workers they need aren’t able to live and work in the U.K. About 5 percent of the U.K.’s oil and gas workforce comes from the EU, according to Oil & Gas U.K. In the long-term, the political uncertainty around Brexit could hurt investment, according to Wood Mackenzie. An aging oil province like the North Sea needs constant work to maintain output and “fiscal stability and cost certainty are critical” when competing globally for investment, it said. Is the Fuel-Trade at Risk? The impact on imports of crude oil and refined fuels looks relatively benign. The nation’s refiners wouldn’t experience any “day-one issues” in a no-deal scenario and would be able to avoid any supply chain “pinch points,” the U.K. Petroleum Industry Association said. Under WTO rules there are no duties on crude oil imports, although VAT is charged at 20 percent, so the U.K. being out of the EU isn’t going to impact the oil industry “very much at all,” Lesley Batchelor, director general, Institute of Export & International Trade, said in an interview. While imports look secure, there’s some uncertainty about crude exports to Asia. South Korea is currently a major buyer of U.K. oil because it has a free-trade agreement with the EU. There are few signs that the British government can arrange a deal to replace that by March 29. China also buys North Sea oil, but flows tend to depend on trading economics, so any lost demand from South Korea could be hard to replace. The U.K. imports most of its natural gas from countries in the European Economic Area, which includes Norway. Norwegian pipelines remain the main source of U.K. gas imports, and accounted for 87 percent of incoming flows in the third quarter of 2018, according to government data. Liquefied natural gas and pipeline supplies from Belgium and the Netherlands make up the rest. Access to natural gas supply isn’t expected to be affected if it exits the EU without a deal but trading could also become less efficient and less liquid. Not everyone shares this view. John Wood, chief executive officer of energy infrastructure development firm InfraStrata, sees heightened gas-price volatility as likely. This will increase liquidity on the U.K.’s National Balancing Point gas hub as a result, he said. For gas exporters to Europe it could, however, have an impact. In the event of a no-deal Brexit, all U.K.-based natural gas shippers will lose the right to supply the French market, creating potential shortages and higher prices for French consumers if alternative arrangements aren’t in place, the Oxford Institute for Energy Studies said in a report. French energy giant Total SA plans to move its natural gas trading operations from London to Geneva and Paris, although the company said this was not related to Brexit. Jonathan Westby, co-managing director of Centrica Plc’s energy marketing and trading, said in an interview that the company already has a European trading base and so isn’t considering moving staff out of the U.K.
For nuclear power, Britain is setting a new safety regime that will maintain the industry’s ability to trade. It’s signing nuclear cooperation agreements with Australia, Canada and the U.S, allowing the U.K. to continue civil nuclear cooperation when the current European Atomic Energy Community, or Euratom, arrangements cease to apply in the U.K. The U.K. said Feb. 14 that it has all the replacement international agreements in place to ensure continuity in the civil nuclear trade. Electricite de France SA, the operator of 15 nuclear reactors in the U.K., has negotiated with the British government to ensure that EDF employees, including those working on the Hinkley Point project, can seamlessly travel in and out of the country. Exports of waste derived fuels – RDF and SRF – from England to energy from waste facilities overseas appear to have fallen during 2018, provisional figures published last week suggest. Analysis of the data on international waste shipments released by the Environment Agency for the 12 months to the end of 2018, suggests that as much as 300,000 tonnes less was exported during the year compared to 2017 (see letsrecycle.com story). In total the figures – which may be subject to change – suggest that 2,898,707 tonnes of RDF and SRF were exported during 2018, compared to 3,200,787 tonnes in 2017. A drop in exports has somewhat been anticipated by industry experts. It comes after a number of years of strong growth in exports of waste as a fuel, as companies seek to move away from landfilling material – taking advantage of demand for waste feedstock from facilities overseas, particularly in the Netherlands, Germany and Scandinavia. In more recent years RDF exports from England have been levelling out as more opportunities arise on the domestic market and energy from waste facilities in European countries reach their capacity. Analysis of the figures suggests that the Netherlands continues to be the largest destination for exported RDF and SRF from England, receiving 1.28 million tonnes during the year. However, this represents a decrease from the 1.54 million tonnes exported in 2017. Sweden and Germany also remained prominent markets for RDF and SRF, receiving 540,040 tonnes and 495,680 tonnes respectively. Other prominent destinations for RDF and SRF from England included Norway, Denmark, Latvia, Cyprus, Poland, Bulgaria, Portugal, Greece, France, Finland, Spain and Belgium. In terms of facilities receiving the waste – AEB’s 1.4 million tonnes-per-year capacity energy from waste plant in Amsterdam is the largest individual recipient of material, consuming around 245,000 tonnes of waste from England alone. On an exporter level, the figures suggest that the Norwegian-owned waste fuels specialist Geminor has overtaken Biffa as the largest exporter of fuels, to top the table by exporting 363,366 tonnes of RDF in 2018. Biffa, which has topped the table for the past four years, exported 350,167 tonnes over the year 2018 – a drop from 460,383 tonnes for 2017. This was followed closely by N&P at 334,154 tonnes. Other companies to export over 100,000 tonnes during the year were Suez (302,393), Seneca (166,773), FCC (162,870), Veolia (158,206), Berling Enviro (147,492), Andusia (146,620) and Renewi (138,355). Out of the total 2.9 million tonnes exported, 322,467 of this was reported as solid recovered fuel (SRF). This shows that the rate companies are diversifying into SRF continues to rise – up from 186,191 tonnes in 2017. In a press release on February 7, Britain's energy and clean growth minister Claire Perry said, "This innovative technology has the potential to make huge strides in our efforts to tackle climate change while kick-starting an entirely new cutting-edge industry in the UK." The giant Drax power station near Selby in North Yorkshire burns seven million tons of wood chips annually to generate electricity. 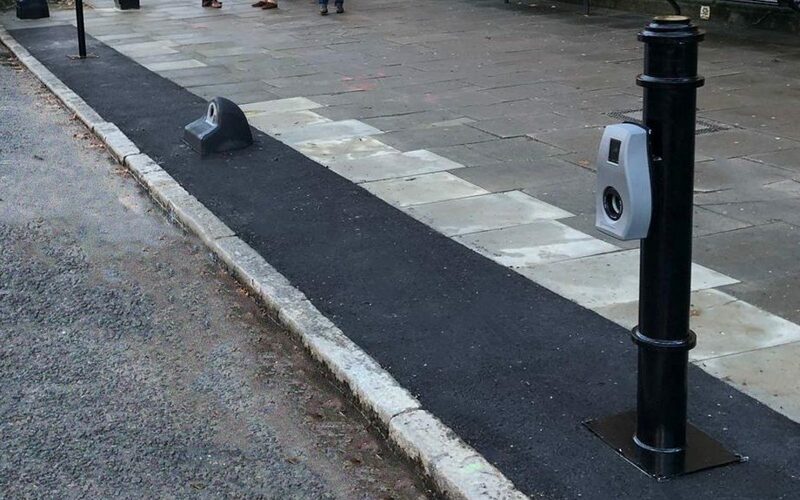 The company has invested £400,000 in a pilot project that will capture one ton of carbon dioxide a day during the pilot. If everything goes according to plan, the technology could be scaled up to capture 50 million tons of carbon dioxide per year by 2050 - nearly half the country's target says the Royal Society and Royal Academy of Engineering. 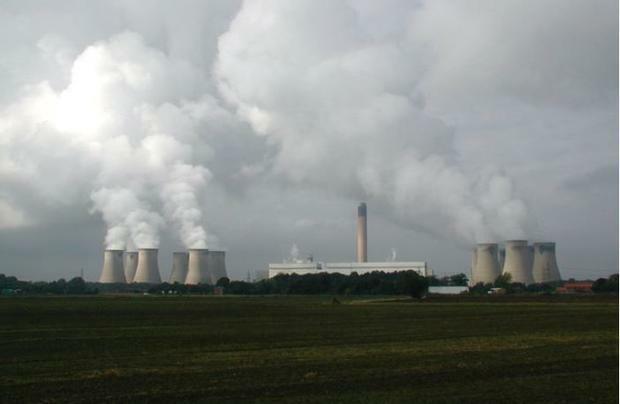 Drax has already become the largest decarbonization project in Europe after it upgraded two-thirds of its generating units from coal to use biomass. DRAX Power Station in Drax, North Yorkshire. 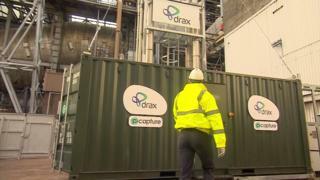 C-Capture technology Carbon dioxide is captured at the Drax plant using Leeds-based C-Capture's innovative technology. The company was formed in 2009 as a spin-out from the Department of Chemistry at the University of Leeds. The technology is called Bio-Energy with Carbon Capture and Storage (BECCS). C-Capture approaches carbon capture and storage (CCS) a little differently than what is being done now. Current practices basically use amines to capture the CO2, holding it in an aqueous solution. The solution is then heated up to 120 degrees Centigrade where the CO2 is returned to its gaseous state, allowing it to be stored. C-Capture uses an amine-free solvent to capture CO2. Once the CO2 has been ‘captured’ it can then be released as a pure stream and transported for safe, long-term storage or used in other manufacturing processes. This innovative technology can also be used for other applications including the capture of CO2 from other large point source emitters, such as cement plants and steel plants. The pros and cons of CCS The BBC outlines very nicely how Carbon Capture and Storage works: When a forest grows, the trees absorb carbon dioxide from the atmosphere and use it to make their wood. If you burn that wood, the process doesn't emit any extra CO2 into the atmosphere—because the trees removed it from the air in the first place. It's called carbon neutral. If you go one step further by capturing the CO2 from wood burning, you're actually reducing the amount of carbon in the atmosphere overall. Proponents of CCS argue that we need to do something to get the CO2 out of the atmosphere in order to mitigate the impacts of climate change. The CO2 can be stored and later used for other purposes. Many scientists are onboard the technology because they say the politicians are not doing enough to limit the effects of a warming planet. Kemper CCS power plant in Kemper County Mississippi. The arguments against CCS are also reasonable. Critics argue the technology is too expensive to implement on a large scale for it to be commercially viable. "One way to reduce coal's impact is to capture, compress and bury its emissions—but it's much simpler, cheaper and safer to simply leave the coal in the ground," Simon Holmes à Court, a senior adviser to the Energy Transition Hub at Melbourne University, wrote in the Guardian. 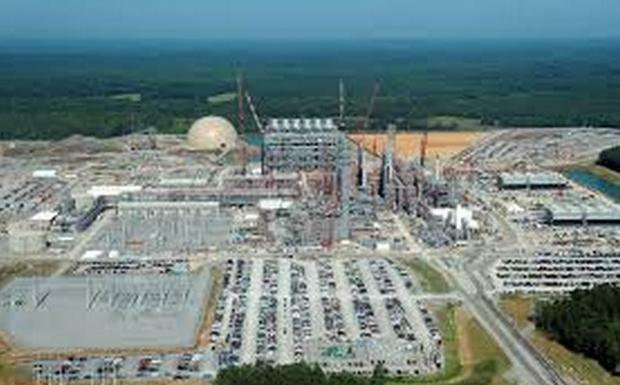 Looking specifically at the Drax project, critics point out the company burns about 7 million metric tons of wood chips - mostly from the southern U.S. to generate six percent of the UK's electricity. While technically, trees are a renewable resource, a large amount of land is needed to renew this resource and harvesting trees also disrupts wildlife that depends on forests. "We must be cautious of technologies that aim to remediate the carbon problem while greatly expanding our impact on the land," Harvard University professor David Keith warned to the BBC. Newly released data shows little to no progress in reducing waste across the EU. EU countries generated 487kg of waste per person in 2017, according to Eurostat. That’s only eight kilograms less than the 496kg generated in 1997, when figures were first compiled. The analysis considers all the waste generated by households and offices. Figures reached a peak of 524kg per person in 2007 and a low point of 479kg per person in 2013, when they began growing again. With over 600kg per person, Germany, Denmark, Cyprus, Luxembourg and Malta generated the most waste across the EU. The primary objective for EU countries is to reduce waste, according to the European Commission’s strategy to transition to a circular economy, where waste is prevented and materials are recycled. The growing amounts of waste raise financial, health and environmental concerns. When not collected for recycling, our rubbish ends up being burned or sent to landfill, which can be a major source of greenhouse gas emissions and air pollution. More waste also means more costs for collection and increasing logistical efforts – something that municipalities are not always able to ensure. This may result in rubbish piling up in the streets, especially in countries with poor recycling infrastructure. But the biggest problem with waste is its indirect contribution to climate change, according to environmental experts. The amount of rubbish we generate reflects the production patterns in our economy. In short, the more products and materials we waste the more energy and resources we’ll need to produce new ones. Cutting waste can have a massive impact on climate change, as less production means fewer greenhouse gas emissions. According to the research group Eunomia, the potential for CO2 emissions savings is much greater when waste is prevented rather than recycled. This is because of the additional energy and resources required to recycle materials. Where does all this waste go? Eurostat has also updated its latest figures for waste management. Overall in the EU, 30% of the waste was recycled, 17% composted, 28% incinerated and 24% landfilled in 2017. Despite an increase in recycling and a steady decline in landfilling, the report shows that waste incineration has sharply increased over time – 74kg per person in 1999 as opposed to 133kg in 2017. However, Barczak also warned that waste management data is difficult to compare because member states are still using different methodologies for their calculations. Last year, a study by Eunomia revealed that the world’s leading recycling countries are overstating their level of recycling. Drax is trialling a new system devised at Leeds university. Most existing carbon capture technologies use a chemical in the amine group. Leveraging our expertise in hydrogen, reformer technology and CO2 capture, Jacobs’ work in this area is not confined to the U.K. We are also providing a feasibility study for Equinor to evaluate the possibilities for building a hydrogen production plant, including CO2capture, liquefaction and export facilities, at Eemshaven in the Netherlands. The hydrogen will be supplied as fuel to an existing natural gas-fired power plant that will be converted into a hydrogen-fueled power plant designed to lower the plant's carbon emissions at a large scale and to a future hydrogen market via a hydrogen pipeline and storage facilities. The liquefied CO2 will be shipped to Norway for off-shore storage.